In under one year, I travelled to five continents and ten countries. I was often without a CrossFit box, for months at a time. My training had to adapt to my surroundings. Below is my list of tips and favourite WODs that any travelling Crossfitter can do whilst on the road. Your holiday is approaching. You cannot wait for the break from work, the trough loads of good food and the chance to relax and recover. You’re worried about your months of hard work and gains melting away as you vegetate under the sun. You think your lifts will shatter before your eyes and your conditioning fall away by the day. 1) You will not loose gains in a matter of weeks. 2) Your non-Crossfit vacation acquaintances will think you’re crazy for training whilst on holiday. That is okay, you have until the end of your trip to convert them. When on holiday, strip it back and keep it basic. Does the phrase ‘move large loads over distance’ sound familiar to you? It’s one of the key aspects behind functional movements and Crossfit. You can clean and jerk almost any object. Is it too light? Double the rep scheme. Triple it in fact. Focus on the movement mechanics of handling an awkward object. You can modify this workout depending on the object, its size and weight. Look for objects like: logs, driftwood, tyres, rocks of various shapes, sand bags, barrels and your friends’s heavy suitcase. Where ever you are on holiday, you are probably surrounded by natural beauty which you are eager to explore. You can always turn these leisurely strolls into a workout. My brothers and I recently went on holiday to Scotland. We decided to hike the local peaks, but with a little twist. 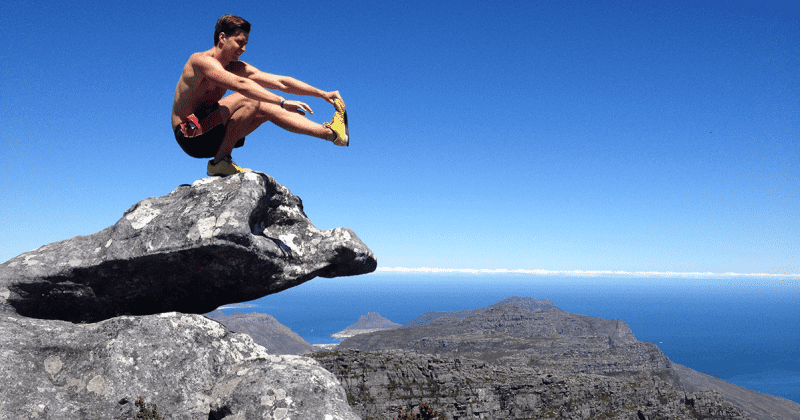 Every 3 minutes, perform 10 burpees until you reach the summit. It took us 90 minutes, 300 burpees later. These kind of workouts are definitely a mental game and more fun if you have someone to do it with. Whoever is joining you should know what they are letting themselves in for by going on holiday with a Crossfitter. By now, you have convinced your partner to train with you, wether they Crossfit or not. From here, you can now exploit your partner and use them to their maximum potential. 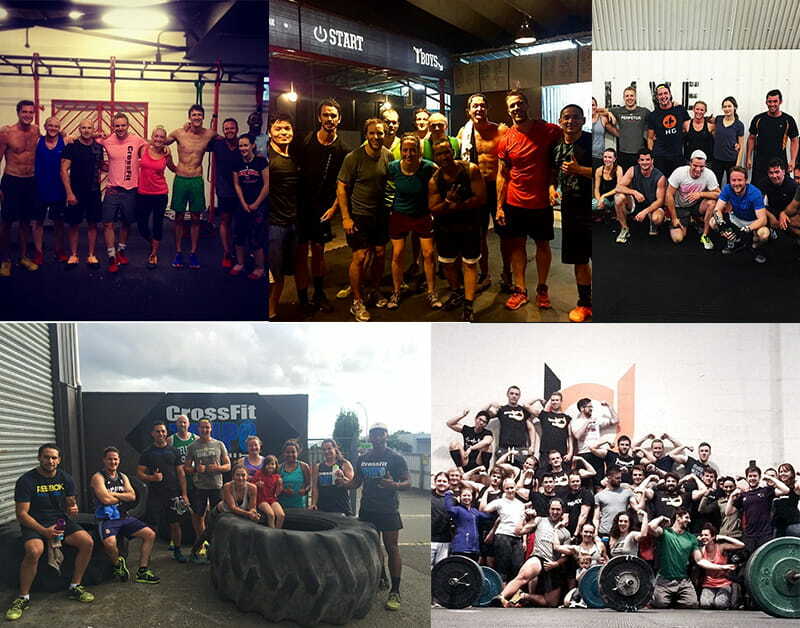 From top left to bottom right: CMC CrossFit Blouberg, Cape Town – South Africa. CrossFit Amatak, Phnom Penh – Cambodia. CrossFit Perpetua, London – UK. CrossFit Taupo, Lake Taupo – New Zealand. CrossFit Deviant, Derby – UK. Instantly, I meet people, local people. They make you feel welcome, want to show you around and advise secret places to avoid the tourists traps. If you can get yourself in front of different coaches, this can only benefit your performance. A fresh pair of eyes may pick up on something your current coaches may not. Plus, it is always interesting to see how different boxes can be from your own.